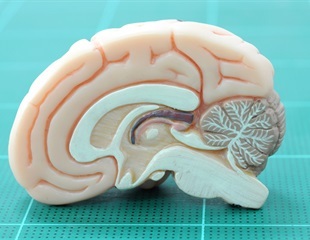 A new Tel Aviv University study finds that gene deletion or deficiency in neurons is responsible for the abnormal hypersocial behavior associated with Williams syndrome, a rare disorder affecting 1 in 10,000 people around the world. Researchers have defined the roles of various cells in the bone marrow that are thought to control the fate of the nearly half million blood cells that develop there each day. A new technique called ECCITE-seq, developed by scientists at the New York Genome Center's Technology Innovation Lab, allows researchers to perform high-throughput measurements of multiple modalities of information from single cells. Research by a Barrow Neurological Center scientist on mechanisms of dysfunctional RNA processing in ALS and frontal temporal dementia was published in the April issue of Acta Neuropathologica. Scientists have identified a common oral bacterium that accelerates colon cancer growth. The discovery could pave the way for new treatments. Researchers at the Columbia University College of Dental Medicine have determined how F. nucleatum -- a common oral bacteria often implicated in tooth decay -- accelerates the growth of colon cancer. The study was published online in the journal EMBO Reports. Nicotine induces widespread adverse effects on human embryonic development at the level of individual cells, researchers report February 28th in the journal Stem Cell Reports.